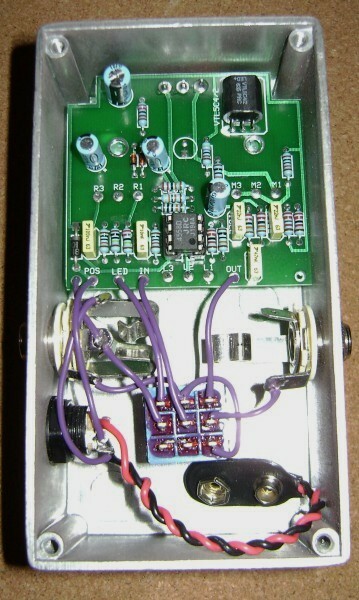 Built from BYOC's Envelope Filter kit, though many people refer to this effect as an "autowah". The circuit is based upon the DOD440 autowah made popular by Radiohead; it's particularly good for funk and reggae styles. 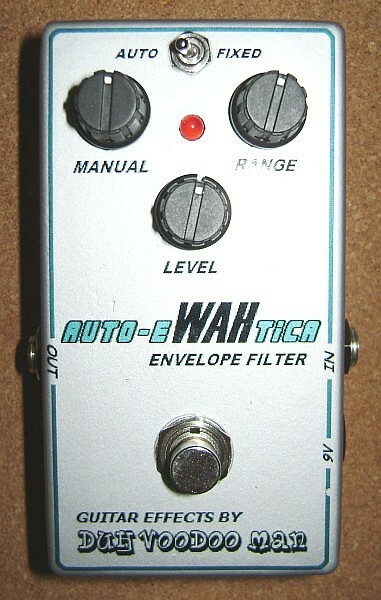 The switchable Fixed mode lets you turn off the automatic sweep and run it like a "parked" wah pedal using the Manual knob.